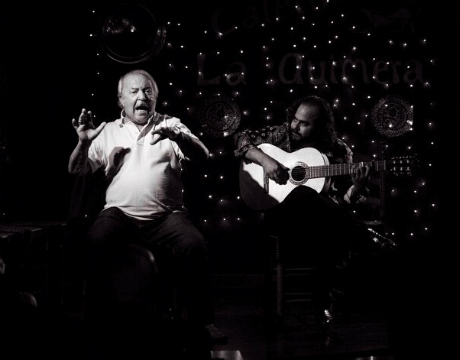 Cafetín La Quimera is located in the Salamanca neighborhood in Madrid. 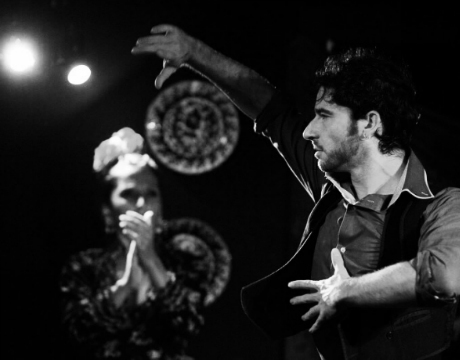 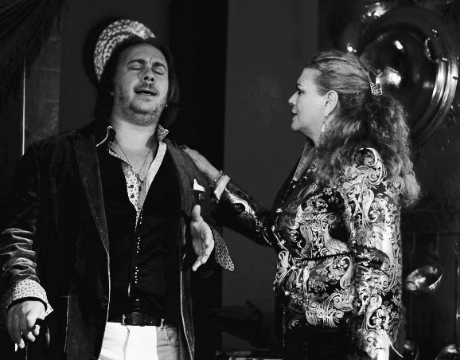 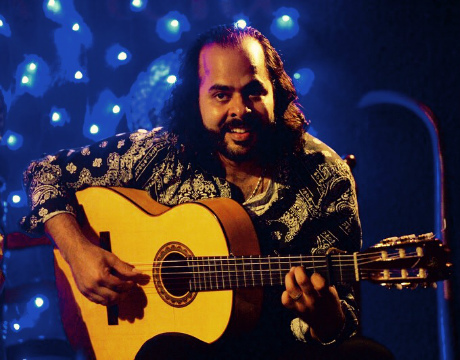 It is a small and intimate venue with flamenco shows featuring nationally recognized artists. 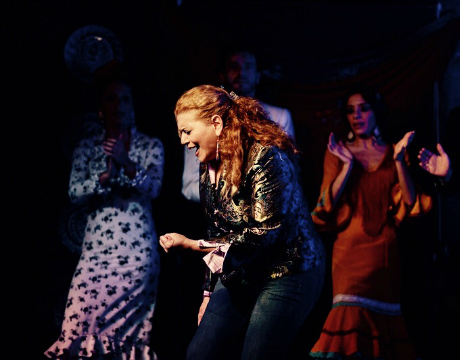 La Quimera is dedicated to offering the public an authentic flamenco experience at a reasonable price. 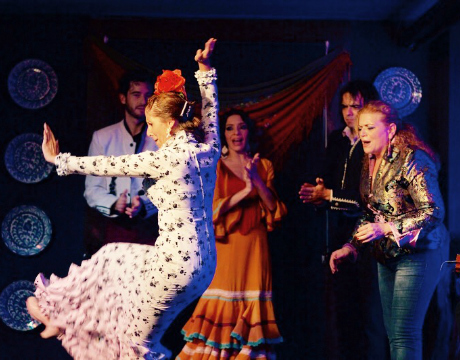 The flamenco performances are held from Monday through Sunday, with one show per night during the weekdays and two shows per night during the weekends. 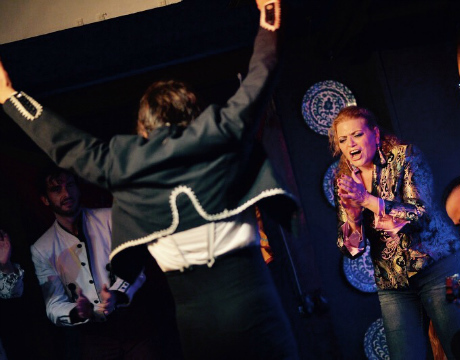 Ticket packages include the option of the show with a drink or dinner, featuring different menus of traditional Spanish dishes that can be sampled with tapas. 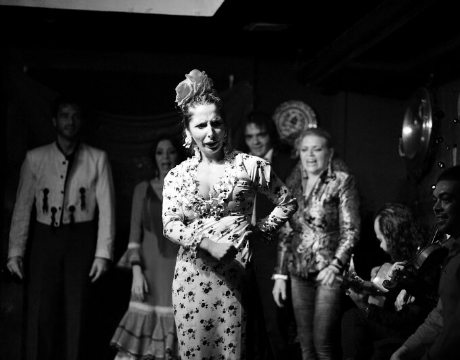 There is also the option of an introductory flamenco class held an hour and a half before the show. 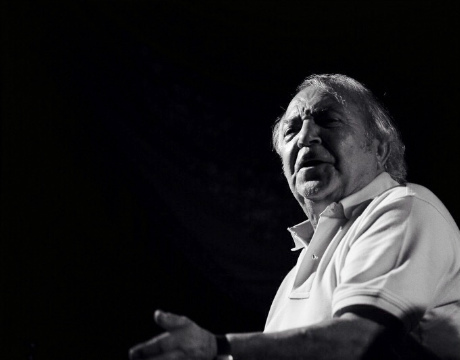 Inside, a small bar displays a collection of photos recalling all the memorable performances. 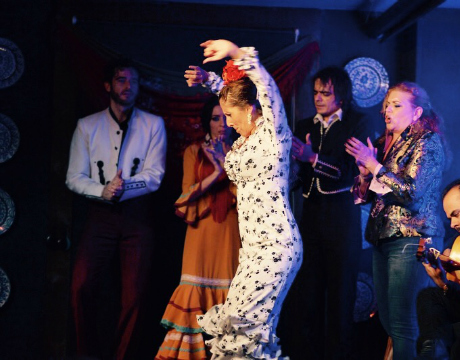 The atmosphere is one of a local bar and restaurant: a friendly, informal and relaxed setting, which is perfect for an evening of flamenco with friends or family. 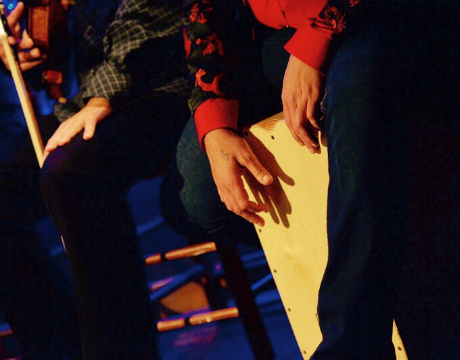 The seating is close to the stage with tables and chairs on both sides for a better enjoyment of the show. 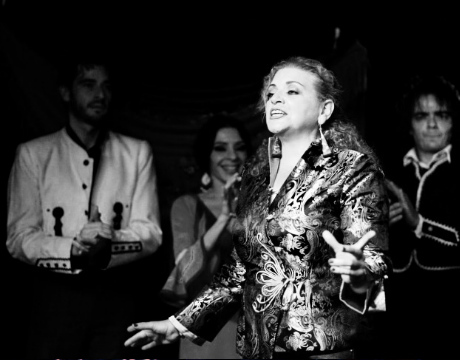 The show often begins with an introduction and vocals by the owner himself, an genuine Andalusian from Granada who also performs throughout Andalusia and Spain. 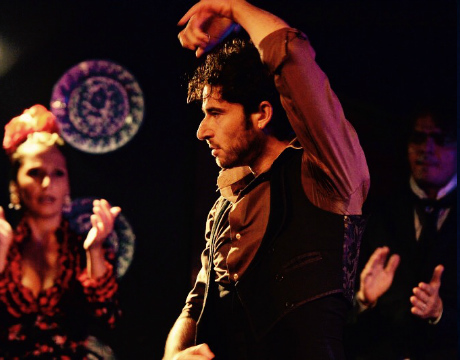 Flamenco in Cafetin La Quimera is an expression of traditional songs and dances inherited from past generations of flamenco artists. 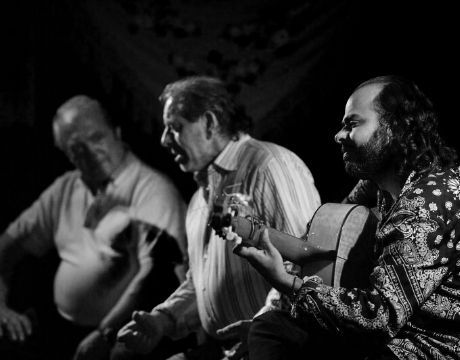 No microphones or additional technical equipments are used for the voice and the guitar. 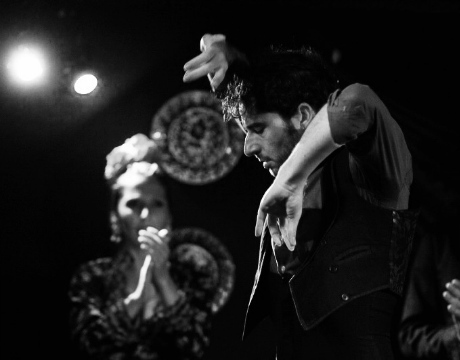 Indeed, the emphasis is always put on the artists’ natural sensitivity and talents to render the experience of flamenco without affectation. 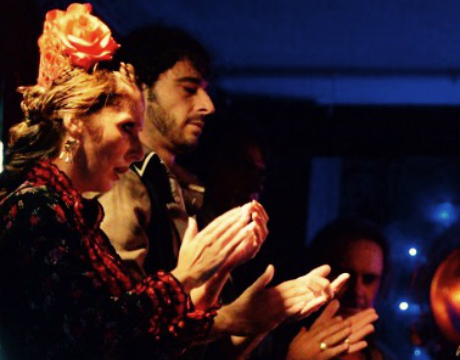 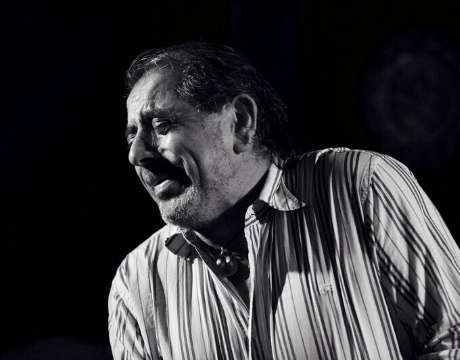 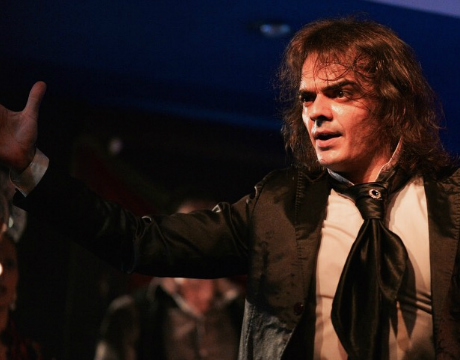 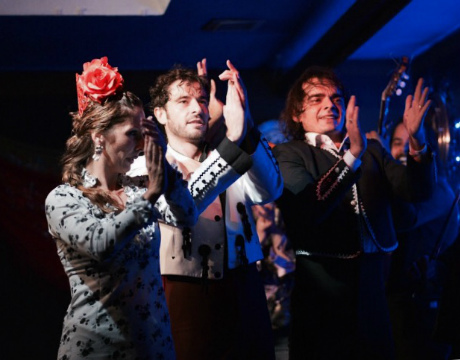 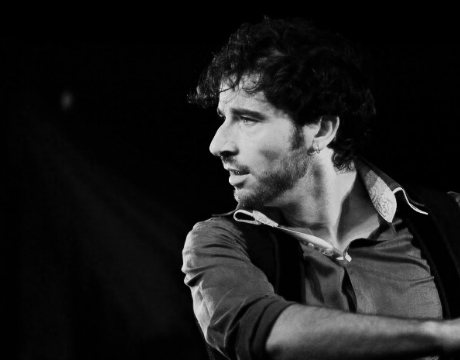 This pure performance style together with the improvised nature of the show creates the perfect setting for what is called "duende", or when the emotion of the moment connects the performer with the audience for a true flamenco experience.